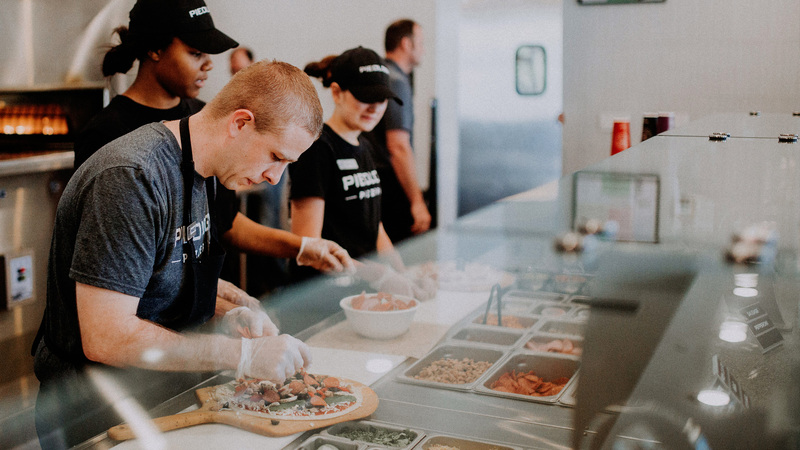 At Pieology all our teammates are on a journey of trust, creativity, inspiration and community. We work hard to create a fun, expressive and delicious experience for our guests, and it all starts with people like you. Being part of our team means celebrating pizza and showing respect. It means feeding people and their imagination. But most importantly, it means having an experience that can help to craft your future. Ready to start your journey? Together we can make a difference, one pie at a time. Opportunity is always on our menu. 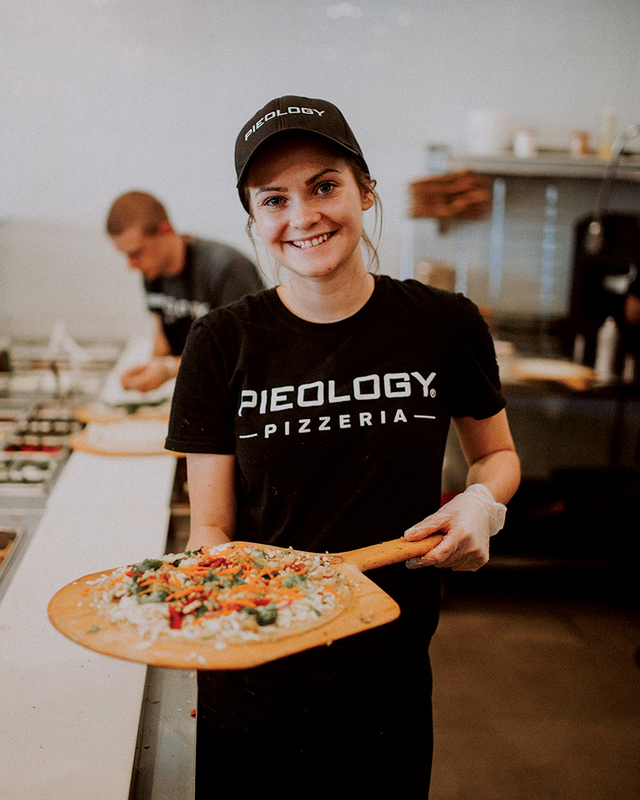 That’s why you can’t help but smile when you join the Pieology pizzeria team. Being part of our team means celebrating pizza and showing respect. We work hard to create a fun, expressive and delicious experience for our guests, and it all starts with people like you. Ready to start your journey? Together we can make a difference, one pie at a time. 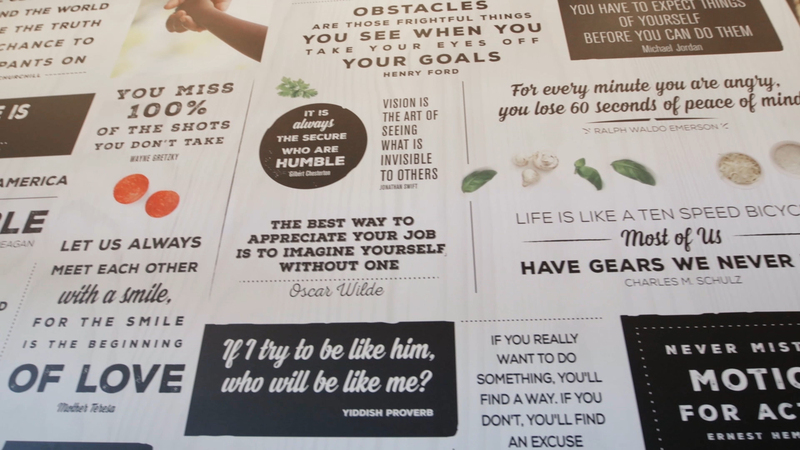 Why is Pieology pizzeria a great place to work? Together we can make a difference, Pieology pizzeria is the place for you! Please contact the store manager directly, if you are interested in knowing which positions are available. Or, just submit your application and we will call you when there is an open position. The workplace was well maintained and the management really works well with your schedule, and supports your school and outside life. I learned a lot from working at this location. The environment was so calm and wonderful. There were always the managers to help us stay calm and happy. Overall, it was the best job I ever had. I highly recommend it to anyone who is looking for a great job that'll also feel like home. 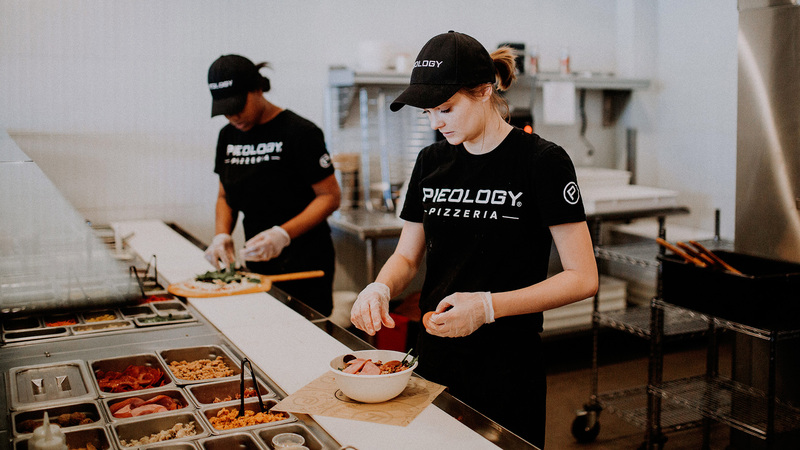 Pieology is a build your own pizza place that stays busy all the time because of its popularity, location, and atmosphere that caters to students and families alike. Working here is great because there is always something new going on whether it be a benefit night, a football game, or just a Sunday school group coming in for lunch. The work is fast paced but not tiring since you switch off positions so often. The company focuses on promoting from the inside so if you have a good attitude and dedication to the job you can move up within a year. Overall, I have enjoyed this company and have grown so much from this opportunity. Good working environment. Meet new people every day and good social networking. People were very nice and coworkers were very friendly.